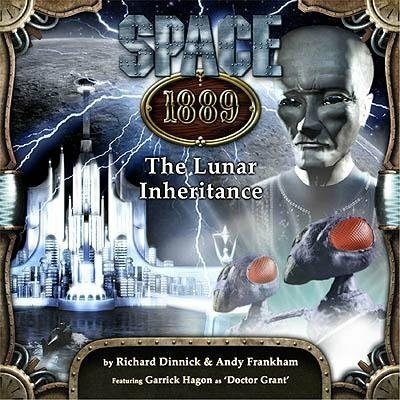 In the second part of my look back at the Space: 1889 audio series, I talk to Richard Dinnick, my co-author on the final release from Noise Monster Productions, The Lunar Inheritance. 1) What interested you in Space: 1889 in the first place? I am a complete sucker for “what if” scenarios and Space: 1889 slotted into that very well. The moment you and I got the gig from John, we ran all over the internet (metaphorically of course) seeking out information about the franchise. What we found really spurred us on: a fascinating environment with some wonderfully colourful characters and a huge scope for expansion. What else does a creative person need? 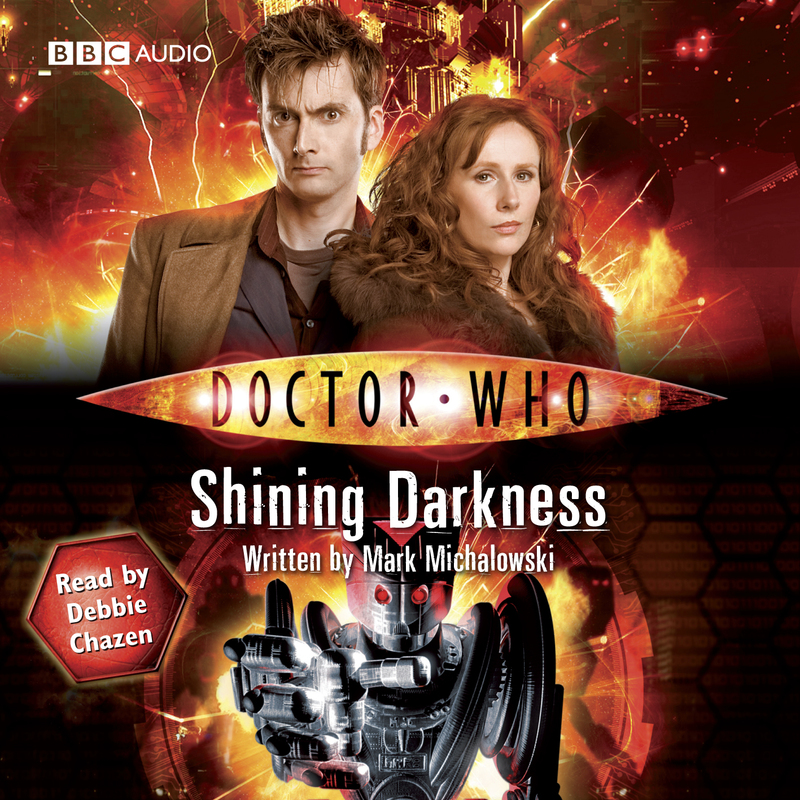 2) What difficulties did you face in converting a Role-playing Game scenario into a fully-fledged audio drama? As John has said, he used the role-playing game books as a series bible. He sent this to us and we took a look. Remember, this isn’t a case of adaptation, this was merely a case of coming up with a story within the confines of someone else’s universe. In that respect it is just like writing for Doctor Who or Stargate with all the brilliant possibilities and sometimes limiting factors that come with that. The one thing I was keen to do – having played a few role playing games myself – was keep that element of “how do we get out of this one?” or “in what way are they going to pull the rug from under us?” that embodies that relationship between player and games master. I guess I saw us as games masters and hopefully we managed to pull the rug by revealing that the Selenites were the Silanteans’ (the moon men) modems. 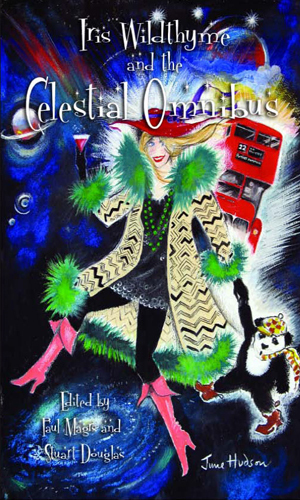 It must be said that Frank Chadwick has done a superb job in fleshing out his vision of a Victorian Space Opera with very three-dimensional characters. This made our job a great deal easier. Annabelle was great; she’s feisty and well-capable of handling herself. Helen Goldwyn brought her to life splendidly. Her uncle – who was played by Garrick Hagon- wasn’t in our story very much but Doctor Cyrus Grant had a key role to play and you – who wrote the prison cell scene – brought him to life magnificently. Of course, I suppose I am bound to say that I liked the characters that we came up with best because we had created them and fleshed them out. If I remember things correctly, you were behind the creation of William Brooker while I handled Captain Nathaniel Blake. Originally the Naval officer commanding Indomitable was going to be James Carter played by Anthony Daniels from the first Space: 1889 (Jonathan Clements’ Red Devils) audio drama! Alas, his schedule meant we had to create our own officer, which was a boon because I think he’s a great character. Yes, Blake is my favourite. 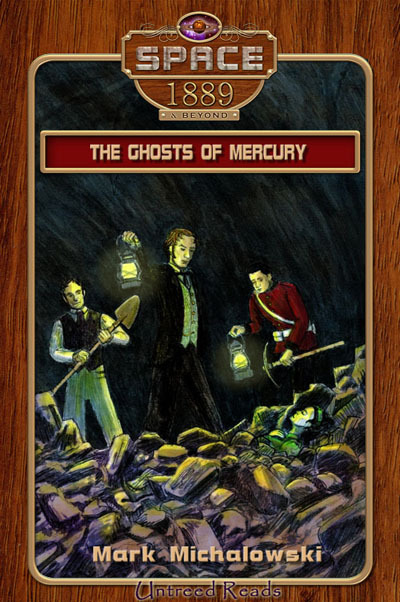 4) Your three favourite moments in The Lunar Inheritance are…? I don’t think I will ever forget the email that said we had got the job. This was my first audio commission and I was extremely excited! So that has to be highlight number one. The actual writing of the play took an age. We had a first draft and then a second (with changed and new characters to slot in and a new sub-plot to add) and then we had notes on that which had to be incorporated. It took a while, but it was an invaluable learning process and John was incredibly supportive, nurturing and positive. There was one scene in the great elevator where I wrote a stage direction saying that there was balalaika music playing in the background. John said, “I’m not sure we’ll be able to get that, Richard!”, and that was when I realised that all the sound effects and music would have to be sourced and the job involved in that. It made me think about the ensemble team a lot more and served me well when I went on to write for Big Finish’s Sapphire & Steel range. So, the second highlight? When I got the CD and sat down to listen to the finished version, there was the balalaika playing in the background as Blake and K’chuk try to bluff Colonel Molatov. Simon Robinson had come up trumps! I was stupidly happy about that! Finally, being in studio for the recording was a massive buzz. I will never tire of hearing a script brought to life by a talented group of artists marshalled by an equally gifted director. That recording was great for so many reasons. It cemented my friendship with John and he introduced me to Nick Briggs, who has become a great friend and person to work for. I am beavering away at so many things right now. I was a finalist in a BBC Writers’ Room opportunity to create a TV Show for CBeebies and I have been asked to deliver a revised script and tone document. I have a script and a book to write as well as a graphic novel idea and a drama series idea to pitch to the right people! And this is all by the end of November! 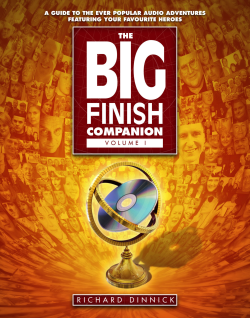 In terms of releases: The Big Finish Companion is out and we’re launching it at the Dimensions convention in Newcastle before flying off to Chicago. Also before the end of November! The tour continues at the Gallifrey One convention in LA come February and thence at Big Finish Day 2, Invasion and Regenerations. 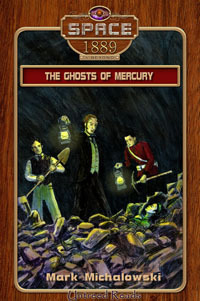 December sees my adaptation of The Hound of the Baskervilles released in the Big Finish Sherlock Holmes range. That’s followed by my adaption of David Stuart Davies’s The Tangled Skein. 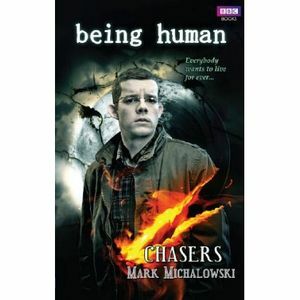 I am very proud of this series as I was also assistant producer on them under Nick. 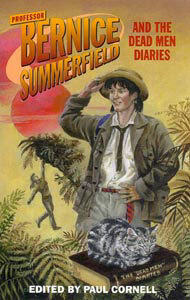 Then I’ve got my First Doctor Companion Chronicle due in May – The Wanderer. At some point next year my Stargate audio will see the light of day along with three unannounced projects I am working on or will be working on soon! Thanks to Richard for his time, and if you’re curious about his latest work, why not pop over to the Sci-Fi Bulletin and check out their review of The Big Finish Companion.